It is a series of blog-post, for asynchronous learning written by Dr Vasu Burli which are actually his handpicked notes he derived from Nelson Textbook of Pediatrics. The notes are divided system-wise. The second in this series is ready to go online! Budding intensivist, currently persuing Pediatric critical care fellowship from Apollo Chennai, did his DNB in Pediatrics from renowned institute Kanchi Kama -Koti CHILD’S trust Hospital, Chennai. His area of interest are pediatric Intensive care and Emergency medicine. This term has been applied to 2 types of spells. The 1st is the pallid breath-holding spell, which is the vasovagal reflex usually triggered by dehydration, heat, standing for a long time without movement, hot showers, the sight of blood, pain, or sudden stress. The 2nd is the cyanotic or, “blue,” breath-holding spell. Pathophysiology: Spells usually begin between 6 and 18 mo of age. Triggering factors like Injury, anger, and frustration, particularly with surprise, dehydration, heat, stress and pain. Blurring of vision, Syncope, loss of consciousness and even reflex anoxic seizures may follow. Management: 1. Education and reassurance of the parents is usually all that is needed, as these episodes are, as a rule, self-limited and outgrown within a few years. 2. Treat coexisting iron deficiency. 4. Instructing parents in basic cardiopulmonary resuscitation (CPR), or antiepileptic drug therapy for anoxic seizures that are recurrent and not responding to other measures. Education of the parents on how to handle more severe spells by first-aid measures is important. All parents should be taught not to provide secondary gain when the episodes occur, because this can reinforce the episodes. Also, preparation for unpleasant experiences (such as receiving a shot) rather than surprising the child with them can help limit the number of spells. Brain abscesses can occur in children of any age but are most common in children between 4 and 8 yr and neonates. Most brain abscesses are single, but 30% are multiple. 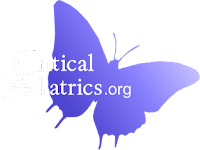 Citrobacter is most common in neonates. Fungal abscesses (Aspergillus, Candida) are more common in immunosuppressed patients. The early stages of cerebritis and abscess formation are associated with nonspecific symptoms, including low-grade fever, headache, and lethargy. The significance of these symptoms is generally not recognized, and an oral antibiotic is often prescribed with resultant transient relief. As the inflammatory process proceeds, vomiting, severe headache, seizures, papilledema, focal neurologic signs (hemiparesis), and coma may develop. If the abscess ruptures into the ventricular cavity, overwhelming shock and death usually ensue. 4. Aspiration of the abscess. 5. EEG shows corresponding focal slowing. 6. RADIONUCLIDE brain scan indicates an area of enhancement. 7. MRI is the diagnostic test of choice. MRI also demonstrates an abscess capsule with gadolinium administration. 8. An abscess cavity shows a ring-enhancing lesion by contrast CT. The duration of antibiotic therapy depends on the organism and response to treatment, but is usually 4-6 wk. Surgery is indicated when the abscess is >2.5 cm in diameter, gas is present in the abscess, the lesion is multiloculated, the lesion is located in the posterior fossa, or a fungus is identified.